I have 7 more Dear Jane Blocks done. 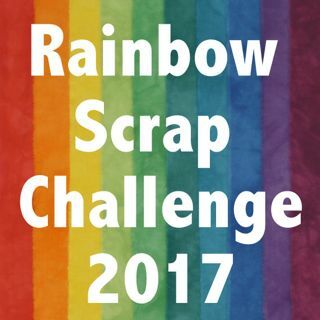 I am hoping to use the Kaffe Fassett collection for all the blocks and do a rainbow around the quilt. I will plan to keep the blocks in the order they are in the book. The blocks are mostly pieced and some applique. I hope to get another little bundle of blocks done soon. 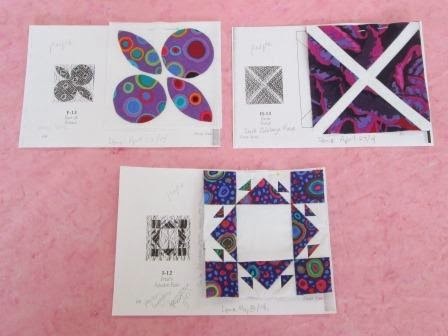 I have been making little kits of work, pick out the fabric used and I always have to do some tracing on to freezer paper, either Paper piecing or hand applique templates. 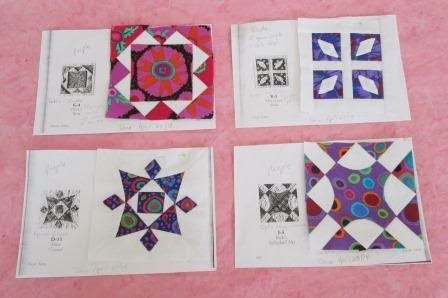 I love Kaffe Fassett fabrics and have been collecting them for a while now... They are for a someday quilt- you know that list of quilts in your head or a journal or a binder- so many great fabrics in my stash to use.. Love the idea of using them in a dear Jane quilt.. It will be gorgeous Cathy..
Beautiful blocks! What a great use of fabulous fabrics.